WINNS Services has its roots firmly established way back in 1989 and has grown organically and steadily ever since. Having merged our cleaning Division Simply Better services in 2015 to provide a more efficient and effective service to our clients. 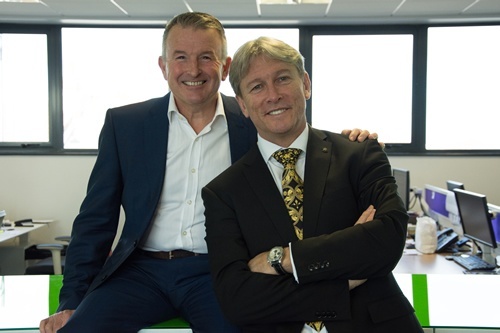 The Founder Directors Rob and Alan still maintain an active role in the family business, though recognising an established business needs to embrace change and in particular the latest technologies in connectivity. However we are in the service industry and people are our greatest asset. They deliver “at the coal face ” so we take great care to induct, train and above all respect them as individuals. Over the years we have evolved from a Security company and Cleaning company managed separately to one company, WINNS Services, offering a wide range of Soft & Hard Services. We have listened to the needs of our clients and the Facilities management sector and so we have evolved to offer with our Service Partners a Hard FM solution so we can offer a complete package or turn key project to the Facilities/serviced management sectors. Our aim is to develop long term mutually beneficial working relationships with our clients and service partners through understanding their requirements and changing needs in order to provide an excellent service. We are small enough to care, resourced and experienced to deliver excellence. You can also “cherry pick” our services to suit any requirement that you have. If you're fed up with national providers then consider WINNS Services where we are small enough to care and professional enough to deliver with the relevant management team, service partners and trained staff for their specific services. Working in collaboration with clients to develop long term and mutually beneficial business support services. To enable them to concentrate on their core business and achieve better value and cost efficiencies. To develop a sustainable carbon foot print by using eco friendly products and methods of working practices. People are our greatest asset we therefore will invest in our individuals, care for them in their work environment and encourage them to be part of the team to achieve their and the company goals. Rob has a team dedicated to providing the desired level of service and always delivers more than expected. Constant fine tuning and dialogue ensure great results on budget and Rob communicates effectively to make this happen. I would highly recommend Rob and his company for their professionalism, integrity and value for money. 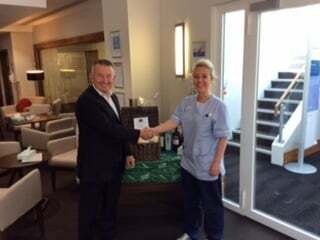 WINNS supporting Macmillan coffee morning at Genesis healthcare in Milton Keynes!